Inflight Sales Group has been awarded for the World's Leading Inflight Duty Free Concessionaire 2017. Cheers! Inflight Sales Group has been awarded for the Asia's Leading Inflight Duty Free Concessionaire 2017. Good Russian duty free spending has also led to the Inflight Sales Group agreeing a new contract with Aeromar for the Aeroflot duty free business! Inflight Sales Group is set to launch a new inflight programme onboard Philippines Airlines on 1 April 2017! Delighted to announce our latest addition to the ISG family - Air Caraïbes! We kick-off 1st December! ISG has won the ‘DFNI Asia Pacific Inflight Retailer of the Year 2016’ held in Singapore on Tuesday, May 10th. We are delighted to receive this award two years in a row. Our Executive director Vimal Rai collected the trophy. French Blue - Bienvenue à bord ISG! Exciting times as we start up with a startup...The countdown to 1st July begins! ISG has been voted the winner of ‘Best Inflight Retailer’ at the 2016 DFNI Global Awards held in London on Friday, April 15th. We are delighted to receive this award yet again. Read about what ISG's Executive Director Vimal Rai has to say about the market and ISG, in the latest (Chinese special edition) Asia Duty Free and Travel Retailing Magazine. Delighted to announce our latest 5-star addition to the ISG family - Garuda Indonesia! We kick-off 1st April with an exciting new selection of inflight retail merchandise! ISPY2016 Debate: Can Amazon deliver Inflight? See how our CEO, Mr. Jean-Marcel Rouff, debated on Amazon and the inflight channel! Congrats to all the winners! And especially to Cathay, Cathay Dragon and airBaltic...well done indeed! Inflight Sales Group (Hong Kong) Ltd. has been accorded the status of one of Hong Kong's Most Valuable Companies! Courtesy of Mediazone. Inflight Sales Group (Hong Kong) Ltd. has been shortlisted for the Frontier Awards 2015. The Inflight Travel Retailer of the Year in 2015 was awarded to Inflight Sales Group (Hong Kong) Ltd. Managing Director Tony Detter explains how the company became the first, and then the best in the business. ISG won the award for Inflight Travel Retailer of the Year at the DFNI Asia/Pacific Awards for Travel-Retail Excellence 2015. The Inflight Travel Retailer of the Year trophy was scooped up by Inflight Sales Group against competition from Duty Free Air Ship and Supply (DFASS), Emirates and Etihad. We are pleased to announce the shortlist of companies that have been nominated for the DFNI Global Awards for Travel-Retail Excellence. Inflight Sales Group (ISG) has signed an agreement with Russian travel services provider Aero Trade LLC to offer duty free retail programmes on board Russian airline Transaero from 15 May. Organisers of The Airline Retail Conference (ARC) Asia-Pacific 2015 have announced the winners of the AR.Awards during the AR.Awards dinner on February 10 at the Marriot SkyCity hotel Hong Kong. On Wednesday 29th October at the Grand Hyatt Cannes Hôtel Martinez during the week of the TFWA World Exhibition, ISG and Cathay Pacific created history by winning the Inflight Travel Retailer of the Year award, for the 3rd successive year. Inflight Sales Group (Hong Kong) has named Karen Durban-Villeval to its senior leadership team as Director for Europe and Africa. The inflight sales channel remains viable, relevant and profitable, Inflight Sales Group (Hong Kong) Managing Director Tony Detter has told The Moodie Report. Inflight Sales Group (Hong Kong), in partnership with Newrest Group, has won two separate inflight retail tenders onboard French airlines Corsair International and Aigle Azur. Inflight concessionaire Inflight Sales Group (ISG) in partnership with French-based company Newrest Group has won separate recent back-to-back-tenders on board French-based airlines Corsair International and Aigle Azur. Frontier magazine has announced the shortlist for its 2014 Frontier Awards, which will celebrate its 30th anniversary this year. UK low-cost carrier easyjet won the Best Airline for Inflight Retail (sponsored by Inflight Service Europe) and Best Inflight Food & Beverage (sponsored by Retail inMotion) prizes at the 2014 AR.Awards last night. Leading inflight retail specialist Inflight Sales Group (ISG) has struck an agreement with Singapore-based budget airline Tigerair to manage its duty free retail programme with effect from 1 July 2014. Inflight concessionaire Inflight Sales Group (ISG) has made two key managerial appointments to its core team to meet the demands of current strong growth in Asia and Europe and position itself for additional growth. Inflight Sales Group (Hong Kong) has made two key managerial appointments to its core team. The sky's the limit! - An insight into ISG with MD Tony Detter. Inflight Sales Group (Hong Kong) has captured the inflight retail concession for Malaysia Airlines, with the first programme set to launch in May. Hong-Kong based inflight concessionaire Inflight Sales Group (ISG) has been awarded the contract to run the duty-free concession on board Malaysian Airlines and another unnamed airline in addition to Russian carrier Aeroflot. 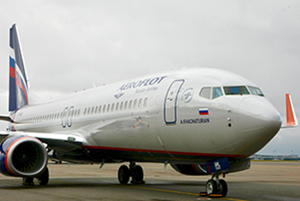 Inflight Sales Group (ISG) and its Russian partner Aeromar have captured the concession for leading Russian carrier Aeroflot. Hong Kong-based carrier Cathay Pacific Airways scooped two Airline Retail awards at the Airline Retail Conference (ARC) Asia Pacific event in Singapore. Cathay Pacific came out on top in two categories at the Asia-Pacific AR.Awards in Singapore last night, held during the 2014 Airline Retail Conference (ARC) Asia-Pacific. Cathay Pacific Airways has unveiled its latest inflight sales offer, focusing on new and exclusive items, as well as promotions to complement its free delivery service. The organiser of Inflight Sales Person of the Year (ISPY) 2014 has revealed details of airlines and concessionaires already committed to attending the event. Airline retail concessionaire Inflight Sales Group (ISG) has reported that sales of watches on board the carriers it operates have been on the rise since the end of last year, while jewellery sales have recovered after a slowdown period. Inflight Sales Group took the award for Best Inflight Concessionaire at the Airline Retail Awards in Paris last night, with Scorpio Worldwide named Best Inflight Agent or Distributor. Hong Kong-based inflight concessionaire Inflight Sales Group (ISG) is targeting further growth across its existing channels having recently retained its contract to run the inflight duty-free shopping programmes onboard Cathay Pacific Airways (CX) and its Dragonair (KA) subsidiary. Hong Kong-based inflight concessionaire Inflight Sales Group (ISG) has retained its contract to run the inflight duty-free shopping programmes onboard Cathay Pacific and its Dragonair subsidiary. Inflight Sales Group, the Hong Kong-based airline concessionaire, has retained its inflight supply and management contract for Cathay Pacific and its subsidiary Dragonair. Korean Air and Inflight Sales Group were among the big winners at the second annual Asia-Pacific AR.Awards in Hong Kong tonight, held during the Airline Retail Conference (ARC) 2013 Asia Pacific. Ink, the organiser of the Airline Retail Conference (ARC) has announced leading airline duty free concessionaire Inflight Sales Group as the Official Event Partner for ARC2013 Asia-Pacific. Mumbai-based Jet Airways has named Hong Kong-based Inflight Sales Group (ISG) as concessionaire for its Jet Boutique inflight shopping programme. * Some of the links above will lead to publicly-available content posted on external websites. ISG does not take any ownership or responsibility for the contents on these external sites.